A collection of us will be reflecting on our experiences of diversity throughout the conference (including the #CHIversity tweets), and incorporating those reflections into zines. The location is TBD, but we will likely be meeting in a public space with our materials and some photocopies of tweets, other flyers at the conference, and feminist / diverse materials from which to draw inspiration. We will do this at various pop-up locations that we will announce on twitter (@fempowertech) throughout the conference. 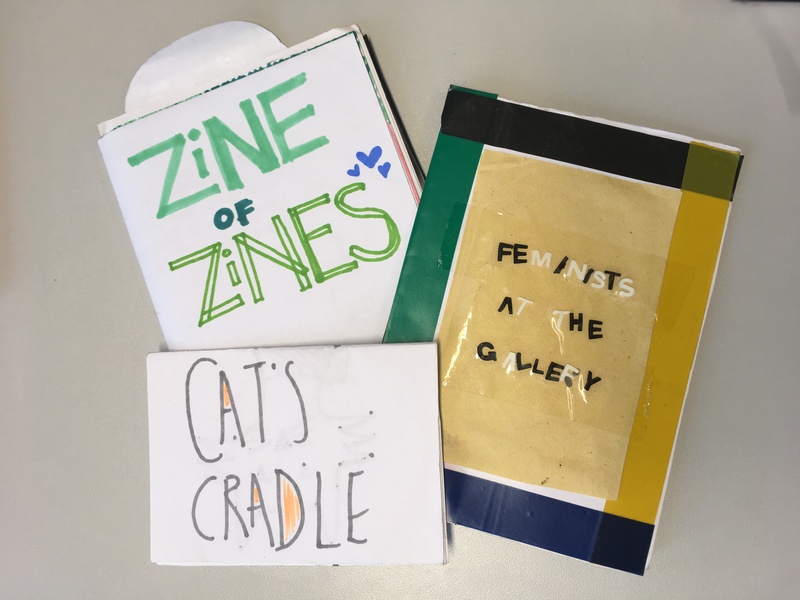 On Wednesday evening however, we will also have a larger, more organised session where we will bring all the materials made throughout the week to collaborative create the zines. More details will be posted on this page and tweeted as they are decided. We will decide together what to do with the zines after they are finished, but for now we are planning to share them widely with the CHI community to show a different side to experiences attendants had. For an interesting history of zine-making and its ability to function as a critical and feminist force, please see the ZineBook.